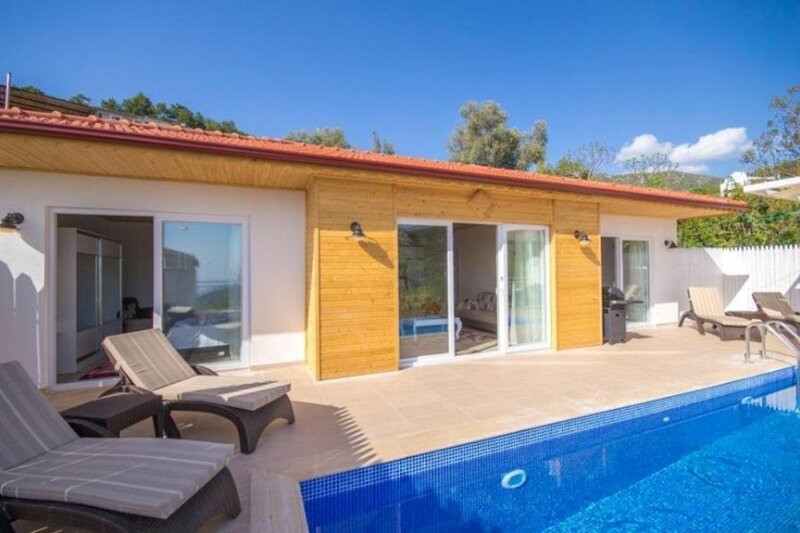 Villa Leaf is a superb five bedroom house. Villa Pinarbasi is a lovely two bedroom villa, both en-suite with far reaching views across the countrside down to the sea. The villa itself has been built to maximise the magnificent views across the countryside down to the sea and Patara beach with the living room having large picture windows. The open plan kitchen is fully equipped with all appliances and there is a large dining area with table and chairs. Doors lead out to the magnificent infinity pool and terrace with plenty of sunbeds, parasols and comfortable seating area, all taking advantage of the incredible views. Both bedrooms have large terrace's and have either mountain or sea-views.